Obama will head to the exclusive Kauri Cliffs golf course. Credits: Newshub. 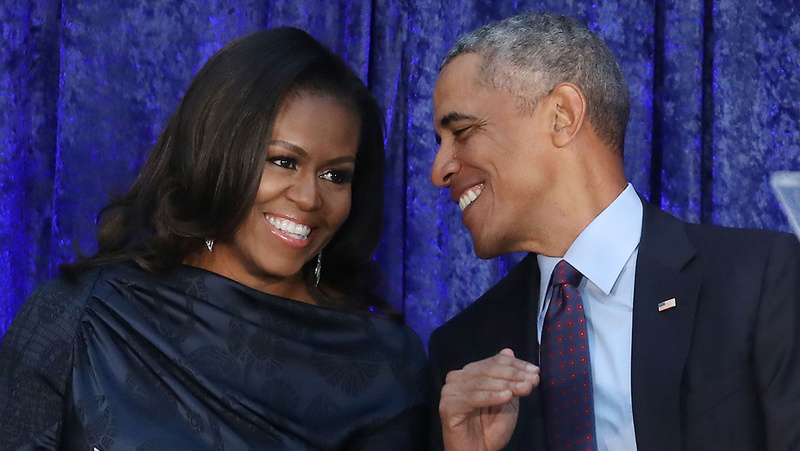 Former US President Barack Obama has long wanted to come to New Zealand and it will finally happen in the next few days - and then his wife Michelle wants to come too. That's the word from the former US Ambassador to New Zealand Mark Gilbert and his wife Nancy, who say the Obamas have been hanging out to visit Aotearoa. "He had told me for a long time that he really wanted to come, but unfortunately with everything that was going on in the world during the end of his presidency he wasn't able to get here as President," Mr Gilbert said. Mr Gilbert's wife Nancy said the former President's three-day stint will be "just a teaser of New Zealand, because of course Michelle wants to come too". "He has been talking about playing golf in New Zealand for many, many years. So I think this will be sort of a dream come true," she said. Mr Obama's itinerary is tightly under wraps and few details have been revealed. He will be in the country on Wednesday, Thursday and Friday, will play golf and will visit a group of young Māori leaders from the Wahine Toa programme - which Ms Gilbert set up during the Obama presidency. Wahine Toa was established to foster the next generation of strong Māori women leaders in Aotearoa. "Since the focus of his post-presidency is all about emerging young leadership around the globe, what better group to meet than one that he actually inspired and helped to cultivate?" Ms Gilbert said. "It is extraordinarily special and meaningful. I just hope that I can hold it all together and not cry when he walks into that room and I see and feel the connection of these great women with this great man and his team." Ms Gilbert said meeting with Wahine Toa will be Mr Obama's "inroad into all things New Zealand". She expects that some of the women he meets will star in future Obama Foundation summits around the world, and will be asked to speak in panels, submit writing, and discuss their experience for the global Obama website. She said the Wahine Toa project has given more to her than she has given to it. "I actually feel like I've given birth to 20 new babies but they're hardly babies, they're extraordinary strong women. But it just is the best feeling to know that an idea that we came up with sort of launched and took on a life of its own." Ms Gilbert says once the women of Wahine Toa are in Mr Obama's database, "they will be his babies".